Easter is only a few weeks away and my two children are already excited about it. However the amount of chocolate that comes into this house at Easter is immense. The children receive Easter eggs from family members and we buy a small egg hunt set for them. As a whole we don’t buy them a lot of chocolate at Easter. We rather give them a none chocolate gift. 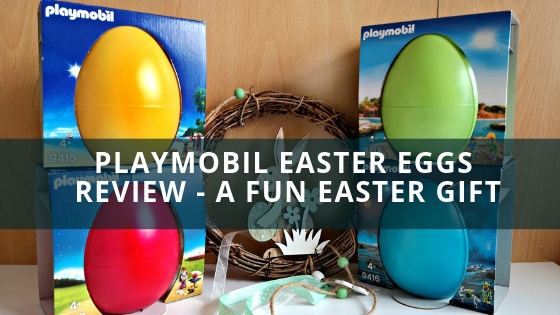 Playmobil Easter Eggs – The perfect none chocolate gift! We have been sent the four 2019 Playmobil Easter eggs and they are fantastic. 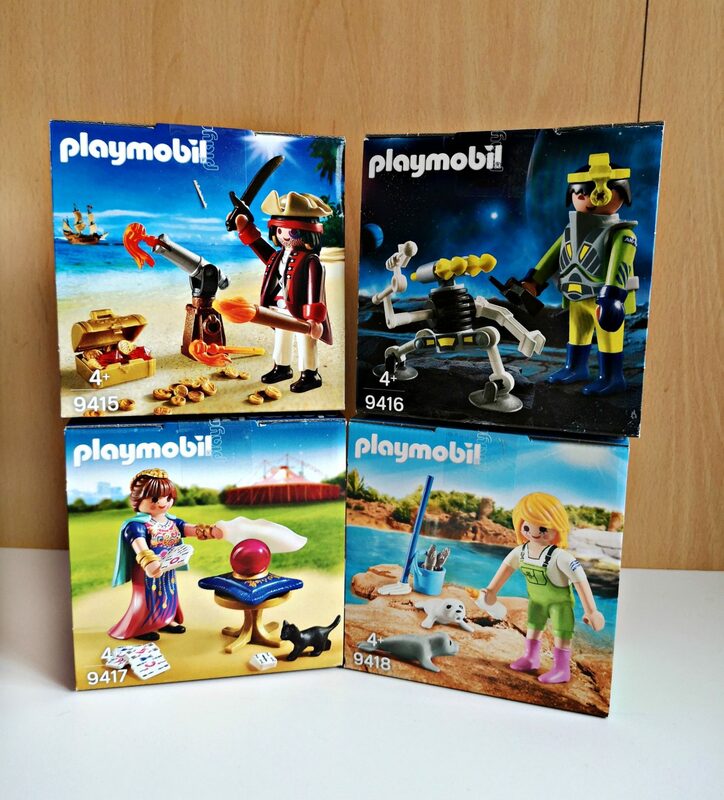 Each plastic egg contains a full Playmobil play set, there are four different ones to choose from. 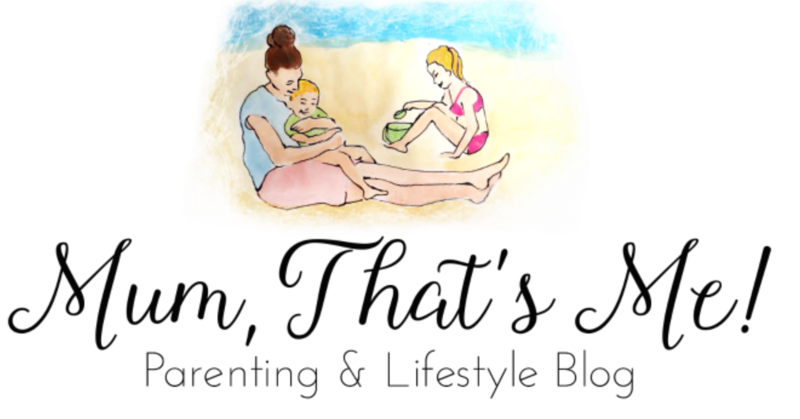 The green egg contains the adorable Zoo keeper and seal pups. My little boy loves this one the most. He is really into small play and animals. He has played with this set alone and also with other playmobil sets we have in the house. 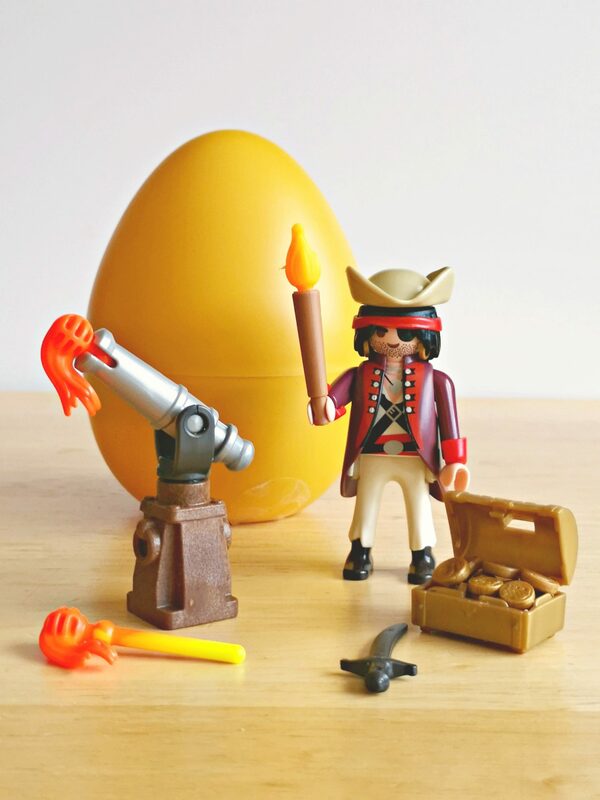 The Yellow Egg contains a Pirate with a canon. This set is a huge hit. You can put one of the shots into the canon and press a button to watch it shoot out. The set also includes a little treasure chest full of coins diamonds. 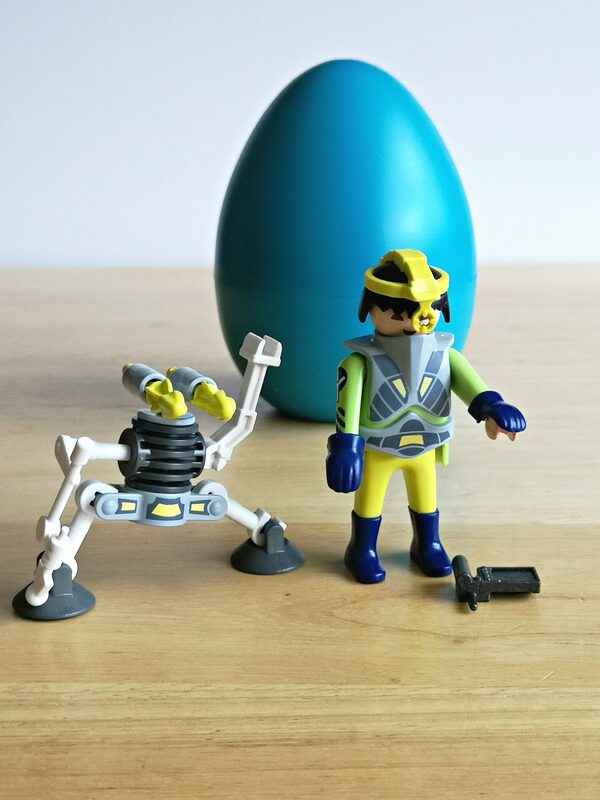 The blue egg has a space agent and a fab little robot in. We like that the robot has suction cups on and can be stuck to any surface. All his legs can be rotated. The agents head also moves round. The pink egg has a fortune-teller inside. This set has a lot of little pieces to put together. 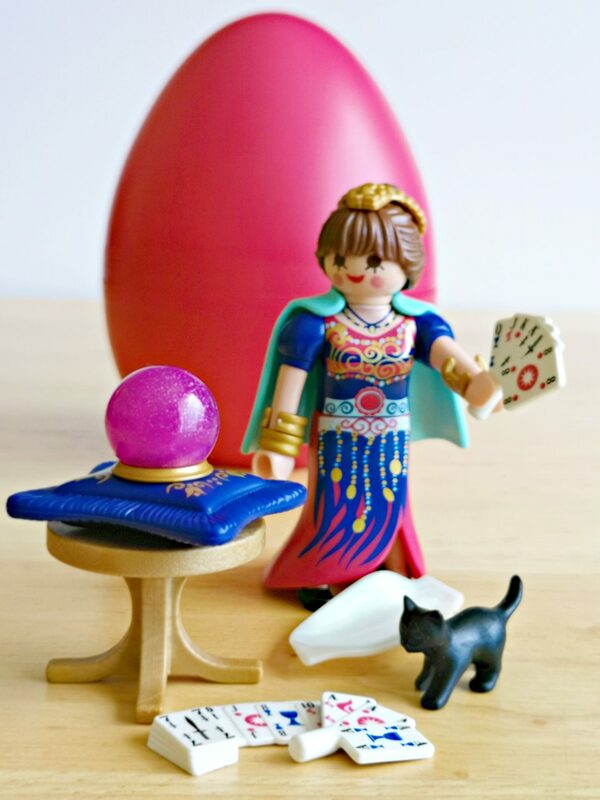 We love the crystal ball and the very cute black cat. All of the Playmobil Easter eggs are great to play with alone or add to existing Playmobil sets. 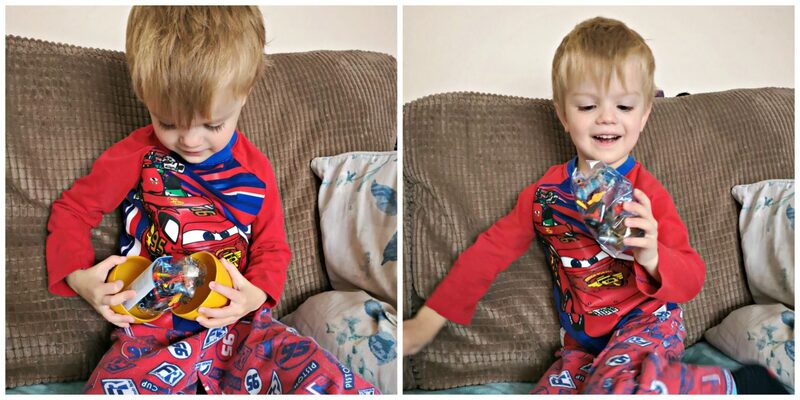 The eggs are a great place to store the sets or you can use them as a money-box. My children love surprise eggs and these eggs take that to a whole other level. When I gave the eggs to them I took off the covers. That way they had no idea what was inside. 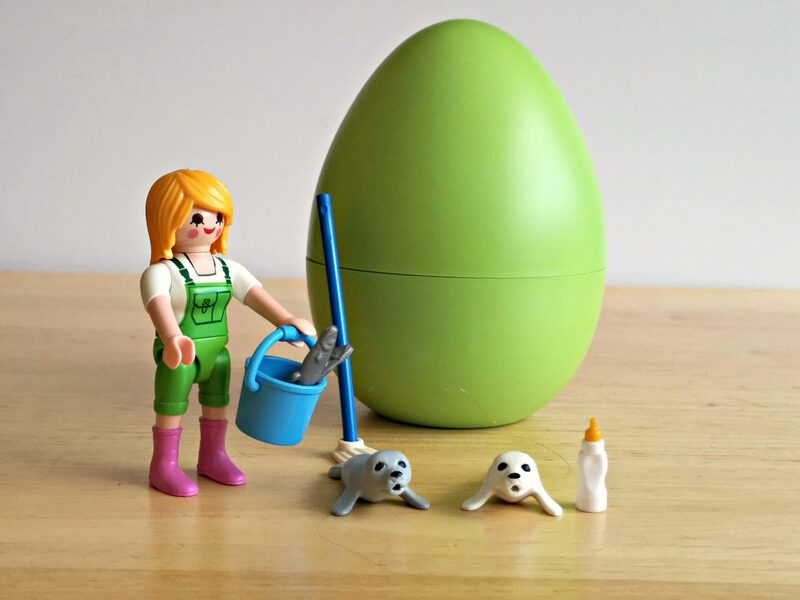 The Playmobil Easter eggs would also be brilliant in an Easter egg hunt. Priced at £6.99 each, these are in line with our typical Easter spend, and I think they actually offer great value for money. And what is even better is that they will last much longer than a chocolate egg. 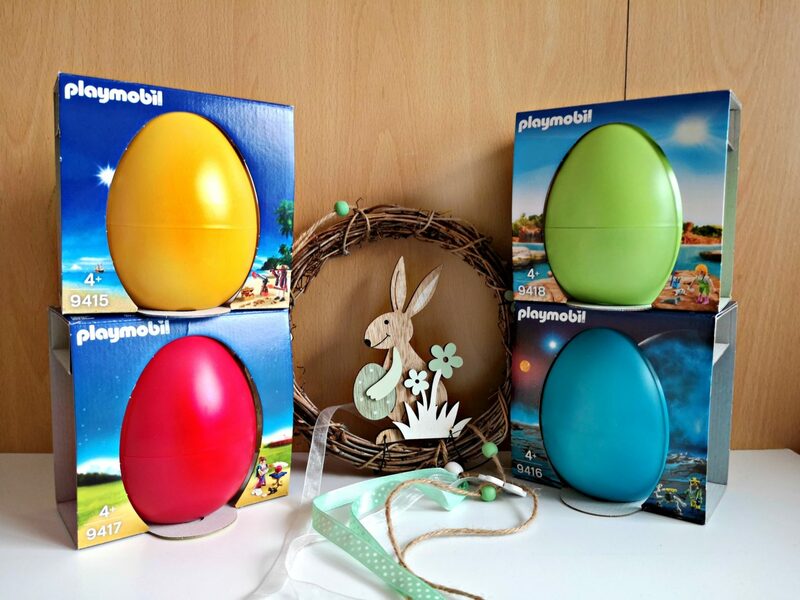 We love the Playmobil Easter eggs and totally recommend them as a chocolate alternative gift. You can putchase them from the Playmobil website and other great retailers. These are a great alternative to a chocolate egg. They’ll last a lot longer too.